Preventive health services can detect minor problems before they become serious. Detecting these problems early is an effective way to improve quality of life and reduce health care costs. Although known best for providing shots (immunizations) to our community’s children, we offer many other services and programs for children and adolescents including newborn screening, well child and school health exams, fluoride varnishing, tuberculosis screenings, immunizations and lead screenings. 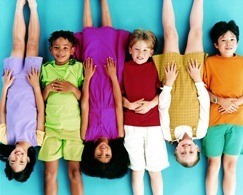 Highly trained medical professionals provide children’s health care services. These professions adhere to guidelines set forth by the Department for Public Health ensuring your child’s care is provided at the highest possible professional standard. These services are available in our ten county health centers. Many of these services are also available in our 34 off-site clinics located in area schools. Please contact the local health department for more information.